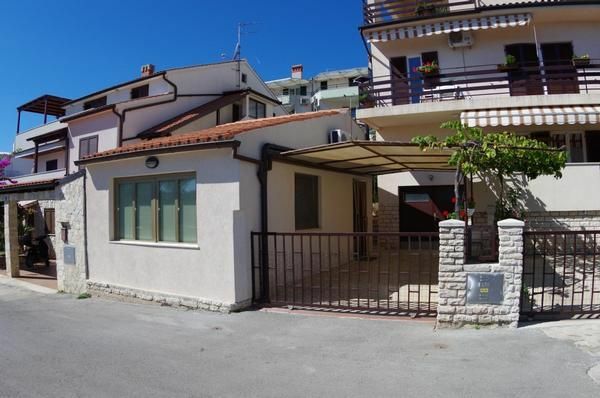 Holiday apartment with 1 bedroom, only 150m distance from the beach (pebble and rocky), located in Pješčana uvala residential area. Apartment is convenient for a couple or small family. The surrounding offers variety of activities: beach volley, water sports, coffee bars, beach bars, restaurants. The vigorous center of Pješčana uvala with colourful green market, various shops, caffe's and restaurants is 200 m distanced from the house. The summer calendar in Pula is full of attractive evening events taking place on the ancient squares, in the narrow streets or in the colosal Roman amphitheatre. Nature lovers will be enchanted by Nature park Cape Kamnjak on the south peak of the Istrian peninsula. Good starting point for interesting one day excursions.